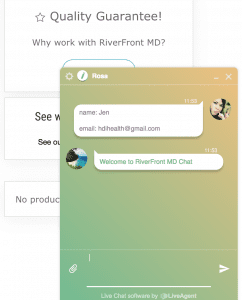 Riverfront MD is an FDA approved telemedicine company located in Florida, USA. We have arranged for you to receive a significant discount on their products, with a exclusive coupon codes for the current year. 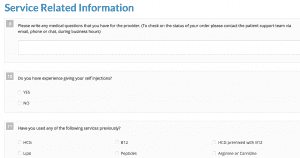 Through this company, you can purchase authentic, prescription grade Hcg injections by 5000iu vials. 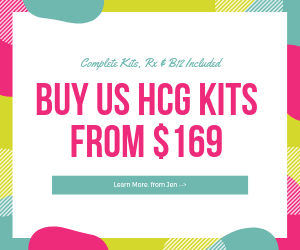 This is high quality Hcg, made and shipped from a licensed, FDA regulated pharmacy in Florida. 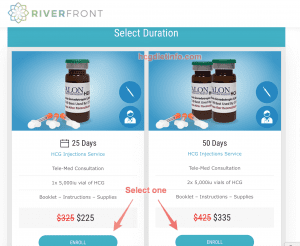 Promo offer to use with this code: Purchase a 50 day kit (equivalent of 2 rounds, or 1 long round) of prescription Hcg injections and receive a $40 discount. 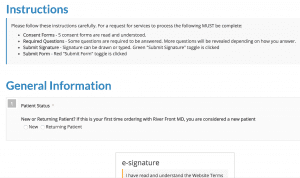 Visit Riverfront MD here. 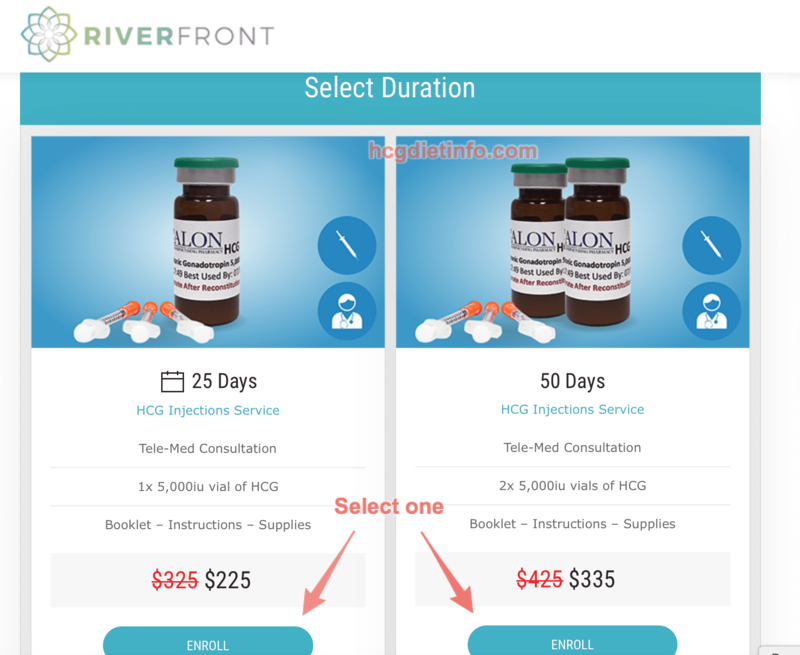 Choose between the 25 day program (approximately 1 month/round, depending on dosage) and 50 day program (approximately 2 months/rounds or 1 long round, depending on dosage.) Select any add-ons you would like, (B12 or Lipotropics) and add to cart. 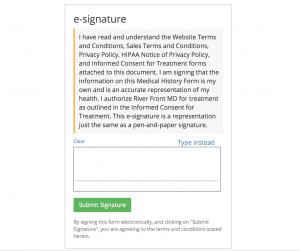 Once these have been added, the following page will include payment information and then a brief medical background questionnaire. 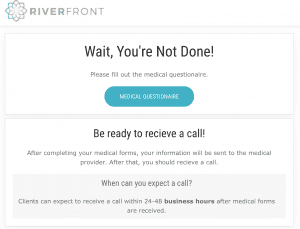 This form is the same as you fill out in a local doctor’s office, although it is mobile friendly 🙂 Once submitted, a physician will review your medical profile and order, before reaching out for a 1 on 1 telephone consultation. During this call, the doctor will go over your questionnaire and answer your questions regarding the protocol. Feel free to have a list of questions and topics prepared. 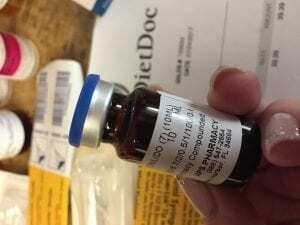 Once you are satisfied, the doctor will approve your prescriptions and send these directly to their licensed pharmacy, who will then ship your order directly to your front door. This will include instructions and all supplies needed. If you have any questions, they offer access to a medical doctor and medical staff. 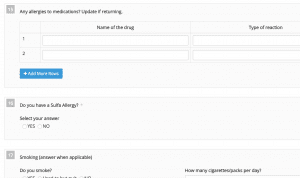 Note, that not all patients are guaranteed to be approved for the program. Step 2: Select all add-ons you would like for your program. 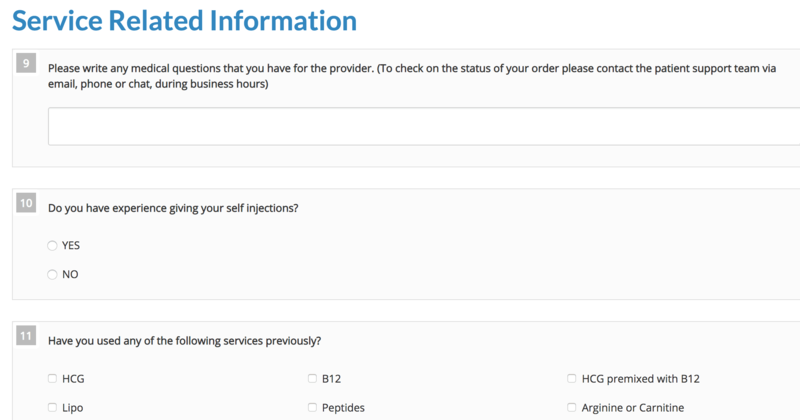 Options include prescription B12 injections and prescription Lipotropic fat burning injections. These are available at a significant discount through Riverfront as well. 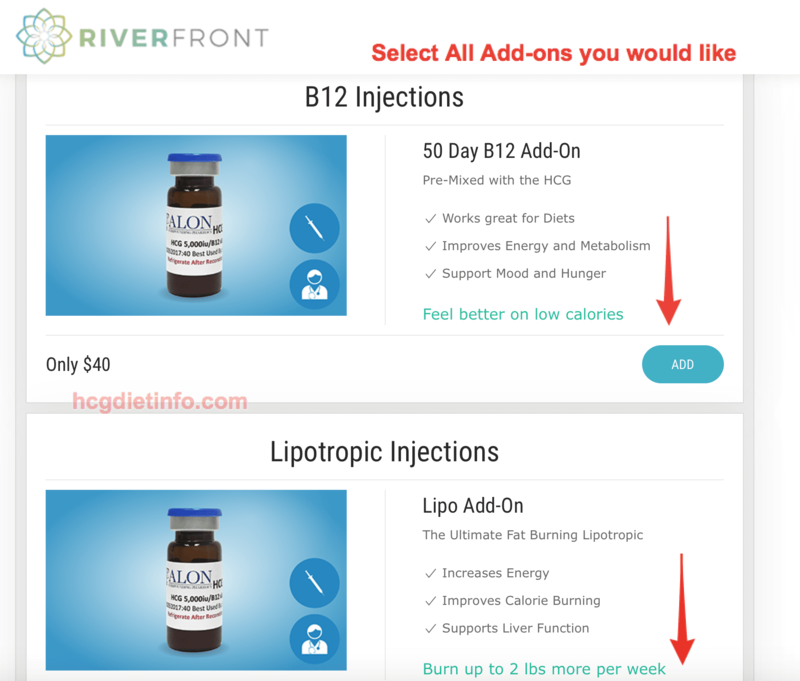 Step 2.1: Option to add Hcg Diet friendly shakes and nutritional vitamins. Step 3: After adding your lipotropics and B12 to your program, simply click “Finish Enrollment” and continue to the billing page. 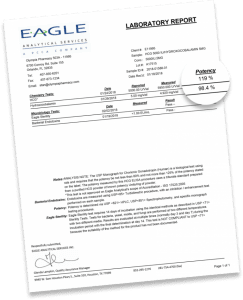 Note: You will not be billed until your order and prescription have been approved after your 1 on 1 consultation with the physician. 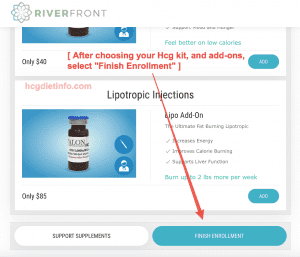 Step 4: Enter the appropriate coupon code located at the bottom of the page, under the lipotropic add-on option. 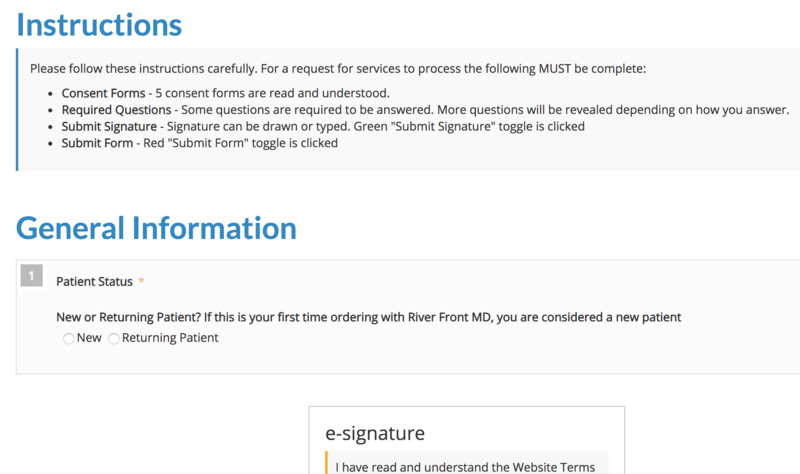 Once you have added your promo, the following page will allow you to choose your method of payment and complete your medical questionnaire. 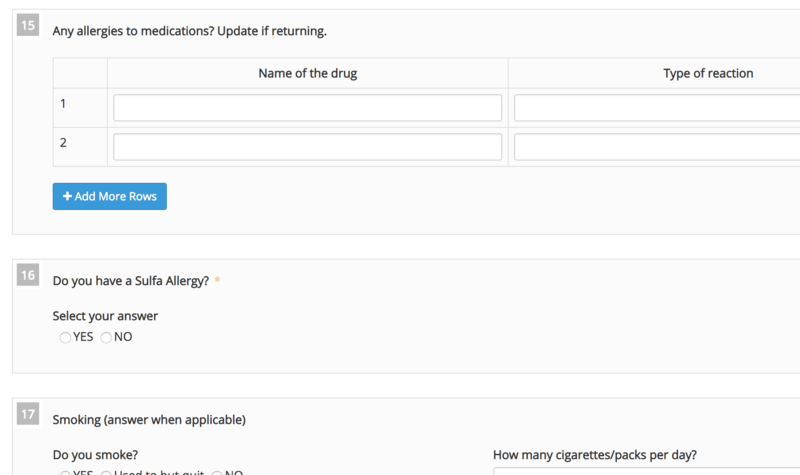 Once done, your enrollment is sent to the prescribing physician and your consult will be scheduled. That’s it! 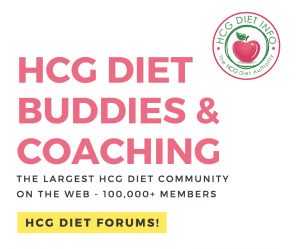 If you have any questions or problems using these coupon codes, please feel free to email me: hdihealth (( @ )) gmail.com or ask in the Hcg Diet community forums here. You also have the option of calling them, and all coupon discounts will be honored for our readers when you mention hcgdietinfo.com. 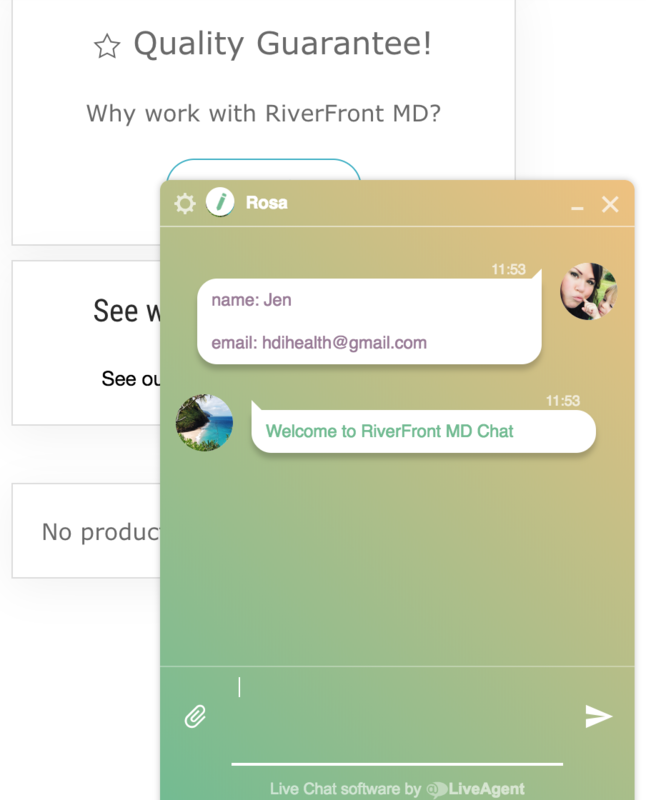 Riverfront was started by medical professionals with a long history in the telemedicine industry. They work with the FDA to provide exceptional quality of product and service to their clients. 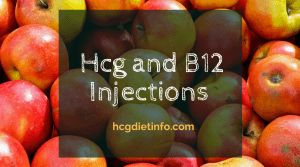 They currently only offer injectable Hcg hormone, however they may soon offer tablets once again as well. 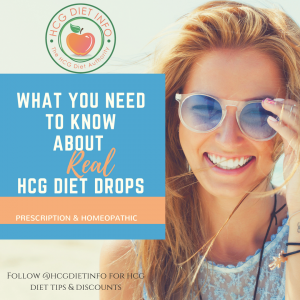 If you prefer Hcg tablets/pills, please check back with them, or visit the guide to purchasing Hcg injections online here for sources that currently carry these. 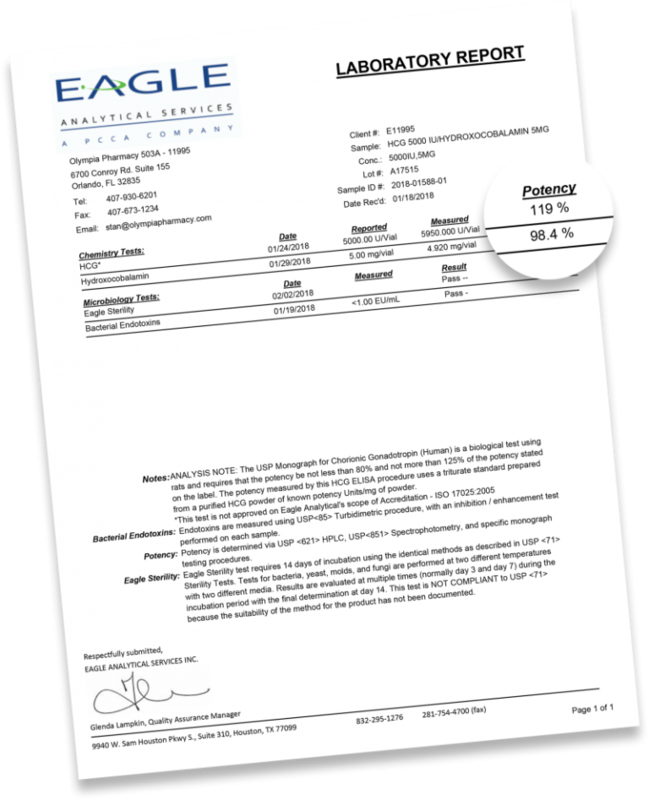 Their Hcg averages are shown in their 3rd party certificate of analysis, which is required of all USA pharmacies that produce Hcg. 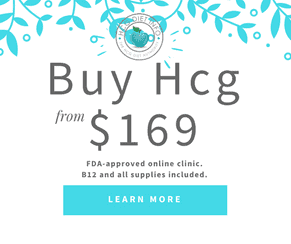 Below is one of their certificates, proving their Hcg exceeds the FDA’s required potency rating, and is made in the USA, so you know it is authentic and not overseas counterfeit, low quality product. After losing 27 pounds I could not feel better! I am now going to do another round to see if I can get to 170 before a cruise I’m going on with my mother. 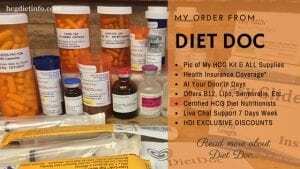 This diet is an absolute dream come true- I’ve never experienced such fast weight loss so easily! I just wanted a moment to tut my own horn. 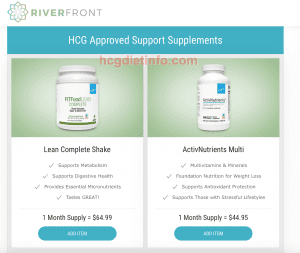 I have done three rounds of hcg, With months between rounds. In 18 months I have lost 100lbs between hcg and eating right after phases. I will for ever be thankful for this moment of joy. For me things have been slow going… but alas I still got here. 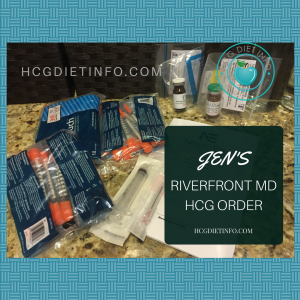 These Hcg diet injections and lipotropics have become a lifestyle for me. It has 100% changed my life, and quite possibly saved my life. Just over a month ago, I was 324 lbs. I was once an athletic man, but I found myself enormous and depressed. I could barely walk upstairs without being completely out of breath and needing to sit down. Now, 6 weeks later, I weigh 265 lbs. I plan on losing another 40 lbs and am hoping to do so in 1 long round. My doc told me that reaching my goal weight of 220 lbs should bring my body fat % around 12%. MIND BLOWING, that my health has been completely reversed in just 90 days. And this is after 6 years of being over 300 pounds and dangerously unhealthy. So ready for the rest of my life and this is just the start! 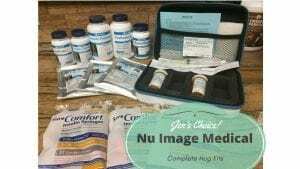 I am down 44 pounds with 10 days to go in my 2nd round on Hcg injections. My goal is to lose 50 pounds and I know I will do that this month. That’s exciting to me! Riverfront MD has a long standing, excellent reputation. 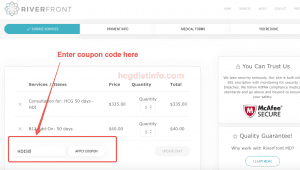 They offer quality Hcg and with these coupon codes, you are getting the best discount possible, ANYWHERE. 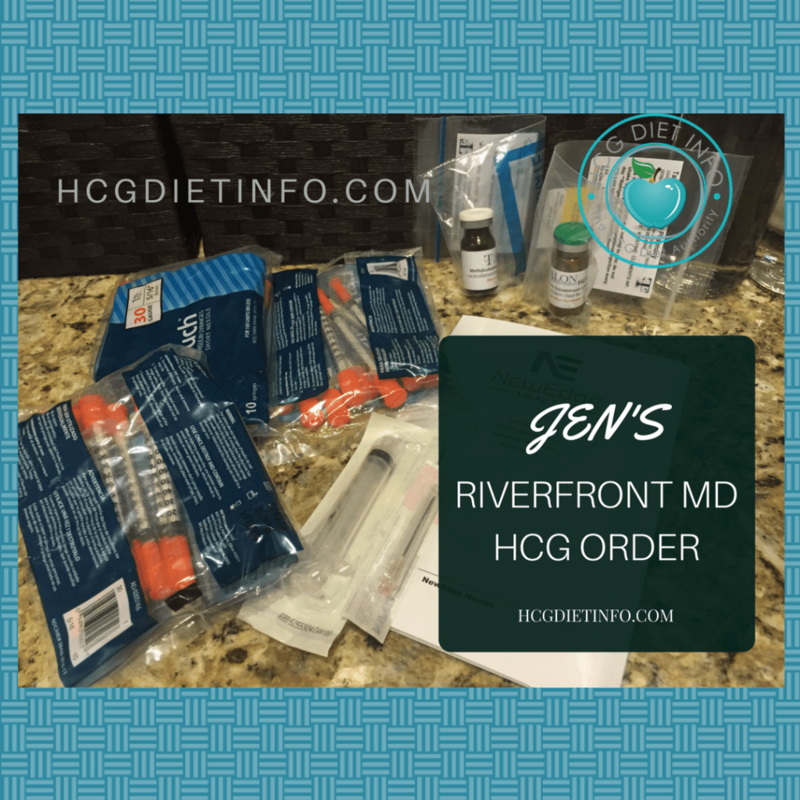 To learn more about Riverfront and what my order experience was, read my Riverfront MD review here.